Along Highway 13, I found The Shrine of Our Lady of the Two Ugly Utility Poles Standing Side by Side in Our Front Yard. That’s my name for it anyway. 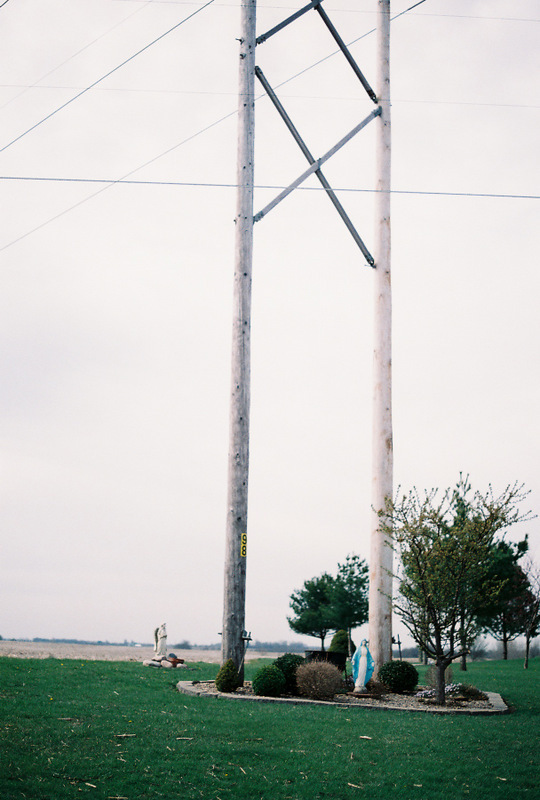 It’s the world’s best attempt to divert your attention from the unfortunate mass of warts and boils standing between the homeowner’s picture window and the highway: a pair of power poles with transformers and heavy transmission lines, stabilized with heavy guywires. Somehow, a concrete statue of the Madonna at the base of this industrial utility offers peace to the people who live under its shadow.